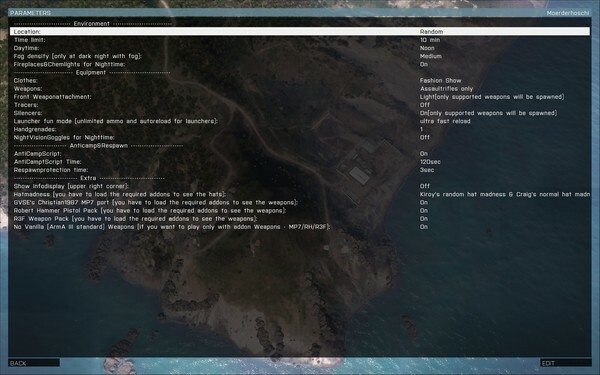 Deathmatch Mission with chooseable location in Missionparameters. Suported different Addon Weapons like GvsE Chrisitan MP7 Port / Robert Hammer Pistol Pack / R3F Weaponpack. Many setup options trough Parameters, so you can set up the Deatchmatch experience you want. All Addonweapon Packages are optional an chooseable with the parameters.